Can I use on a Bermuda lawn that is still dormant? My lawn has not turned green yet, but I have grassy weeds...looks like fescue. I live in north ga. Image normally will not hurt Bermuda Grass, even when it is fully alive. Spraying it when it is dormant should not hurt it. Grassy winter weeds are difficult to kill. Especially with over the counter products such as this. Poa Annua is the most common, and Image will not kill it. It may yellow it, but it will come back until the temps warm up. 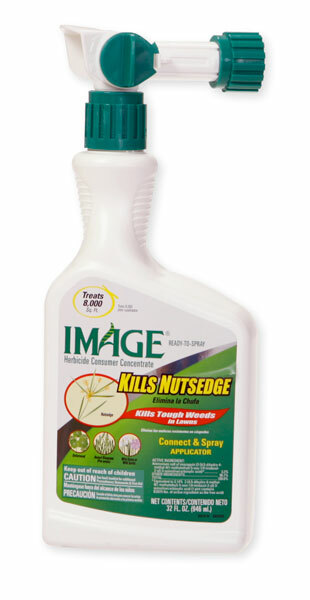 The best thing to do is to use a good quality Pre-emergent this Summer and again in the Fall. Pre-emergents should be applied about 3 times per year for best results. Start in Late January, then again in Late July and then again in Early September. This will stop most of your winter weeds from sprouting and greatly reduce the need for topical herbicides throughout the year. My advice? Don't waste any money right now, Poa Annua will die when it gets hot. This Summer start a Pre-emergent program.